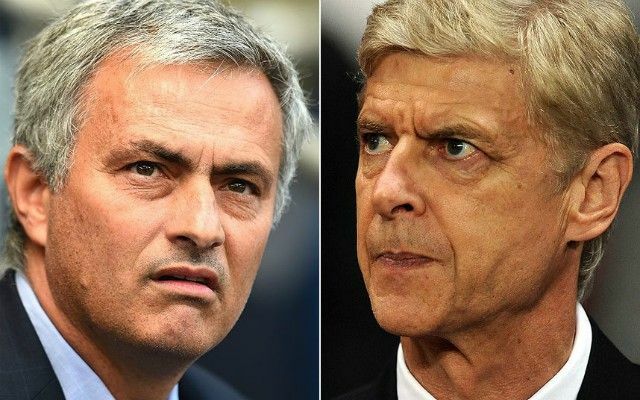 Manchester United manager Jose Mourinho has backed his assistant manager Rui Faria to take on a big job in management following shock links with replacing Arsene Wenger at Arsenal. The Portuguese coach has never held a management position before, but has worked as one of Mourinho’s main assistants ever since his first spell at Chelsea between 2004 and 2007, moving with him from there to Inter Milan, Real Madrid, a second stint at Chelsea, and then at Manchester United. Surprise reports from the Sun this week linked Faria as a candidate to take over at Arsenal next season and Mourinho has made it clear he thinks the 42-year-old has what it takes. Asked about Faria Arsenal links, Mourinho is quoted by the Metro: ‘I think so, yes. You ask me if I think it would be a good fit and I say: Yes. And I say it because he is more than my assistant, he is my friend. ‘If my friend has the possibility one day of a big job, I would help him to pack and to carry the bags and to wish him luck. ‘So if one day that is going to happen, the first one to be happy would probably be myself because I met him when he was a kid in his university and we were together for 18 years. Arsenal fans surely won’t be too pleased at the prospect of such an inexperienced name coming in for such a big job, particularly when others who’ve managed big clubs and won major honours as sole managers of teams have also been linked as candidates. Still, Mourinho’s backing suggests there could be something in Faria as a manager in the future, even if going straight from working as an assistant to taking charge of Arsenal might be too much of a step up for the moment.